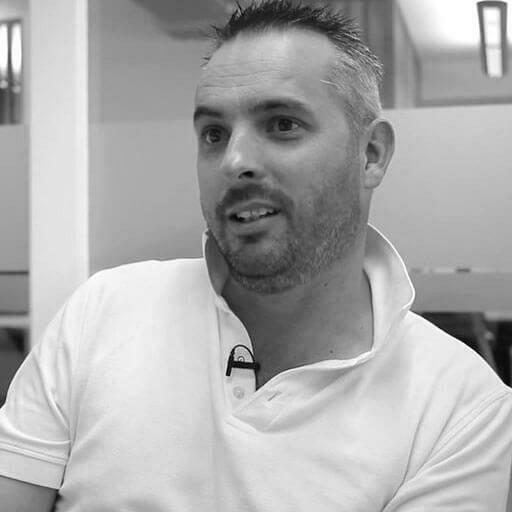 Brett McKay is one of The Roar's good news stories and has been a rugby and cricket expert for the site since July 2009. Brett is an international and Super Rugby commentator for ABC Grandstand radio, is the voice of ACT club rugby, has commentated on Under-20s Championships, Women's Uni Sevens and National Rugby Championship coverage, and has written for magazines and websites in Australia, New Zealand, South Africa, and the UK. He tweets from @BMcSport. 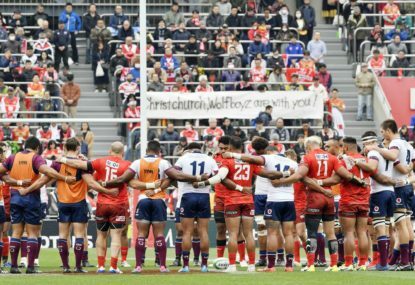 Well, there may be no better illustration of how crazy Super Rugby is going this year than considering this crazy little circle of craziness that was completed last weekend. 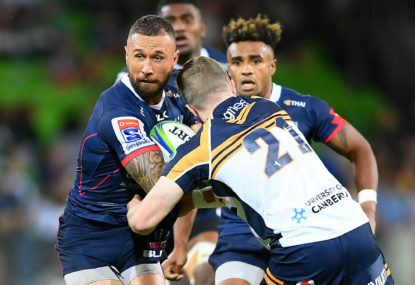 The week the Super Rugby season started, I wondered if we might be looking at the tightest Australian conference race in some time, and it seems that’s still on the money. 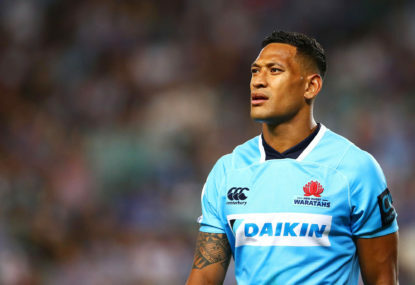 I have to admit, right at this very moment, the biggest surprise in this whole Israel Folau situation has been the speed with which decisions are being made, and the whole process is progressing. I worry about this round, Roarers. Oh goodness, another weekend full of close games and results that could easily have been different to the way they finished. 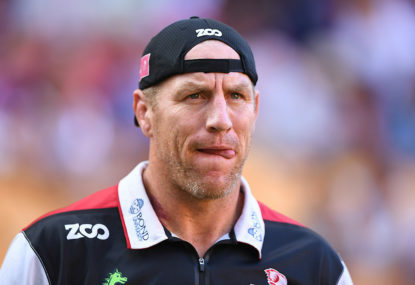 The round after the weekend before couldn’t arrive quickly enough for some teams this week, if for no other reason than to help people forget about their most recent performance. 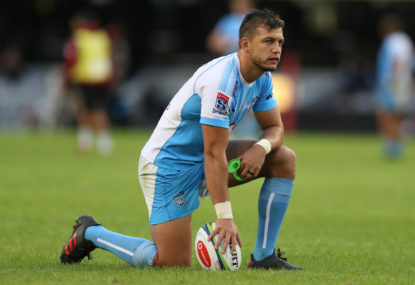 The annual report card was a column I first started a fortnight ago, before SANZAAR stepped in with all their experience and wisdom to drive us further down the path of shrinking our way to Super Rugby improvement. Nope, nothing to see here. If it’s true that you can’t change tipping results after the fact, then it’s certainly true that there’s no point dwelling on tips that turn out to be less than accurate. 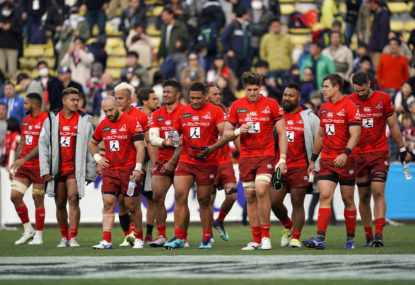 With all the reporting and leaking and reacting and denying going on over the weekend and late last week around the now confirmed demise of the Sunwolves from Super Rugby, though it’s difficult fully know who is pulling which stings, one thing stands out as a clear common denominator. Well, SANZAAR have gone and done it again. On the surface, a round in which there are two draws looks like hard work for a tipping panel trying to get the better of it. If a week is a long time in rugby, then in Australia it’s an eternity. 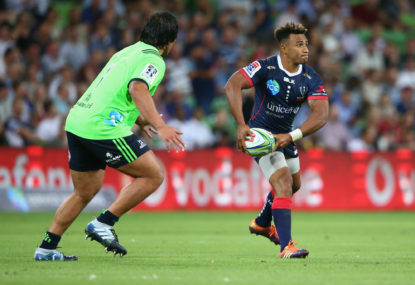 Not too difficult, after all, was Round 4 of Super Rugby last weekend. Which of course is an easy thing to say after the event, but hey, what’s the point of reflection if you can’t be a little smug, too? 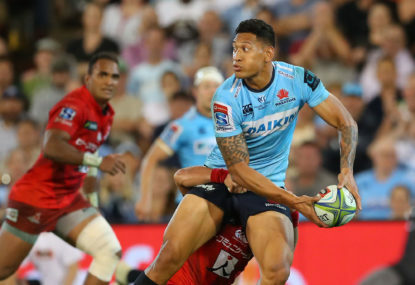 Waratahs coach Daryl Gibson created headlines and discussion last week for doing something he did briefly last year and then forgot about or just ignored: he named Israel Folau on the right wing for the Waratahs return to the SCG against the Queensland Reds. Who’d be a tipster, hey? One week you’re missing a perfect round by a whisker, the next your round is shot by Saturday afternoon. 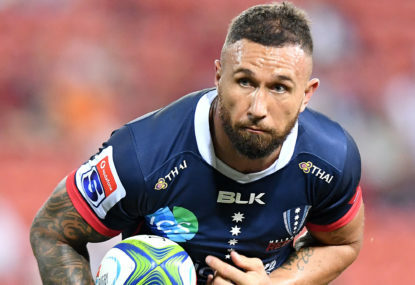 The third week of Super Rugby has confirmed what plenty had already suspected: that teams won’t have to be that far off their best to get a touch-up from pretty much any opponent and in any given week. Honestly Bulls, you had one job. 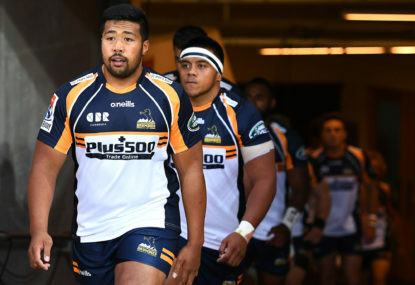 It was the best Brumbies performance in some time. Well, he promised to return to tipping glory, did our esteemed South African correspondent, and return to glory he did. 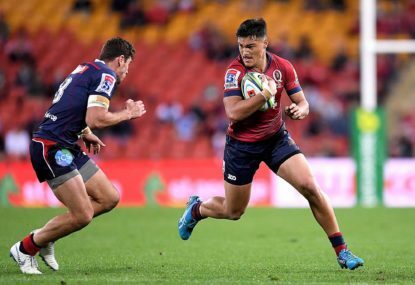 We won’t know until this weekend coming how well Queensland are placed without their exiled talent, but one thing’s for sure: the three other Australian teams are feeling pretty happy about the bargains they picked up and the Reds’ generosity that came with it. 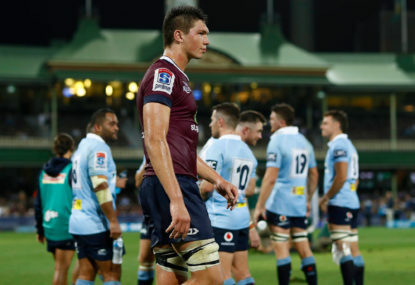 it’s almost in the Rebels’ best interests Cole to avoid scrums anyway – so I’d be kicking for the corners and looking to pin the Tahs deep..
Yeah, I’d be aiming for rows toward the back of the concourse bays, Chookman! I hope you’re right about the Tahs, I really do. 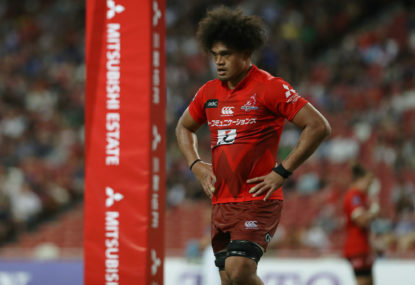 They were due to rest Folau soon anyway, now they just have to bring those gameplans forward and get on with moving on..
Jags at home *should* be tough, Fionn. But they’re 2 from 4 at home this year! Really Cassandra? 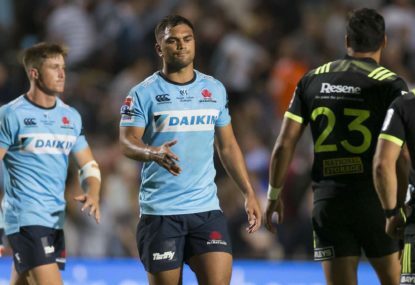 Tahs as favourites? 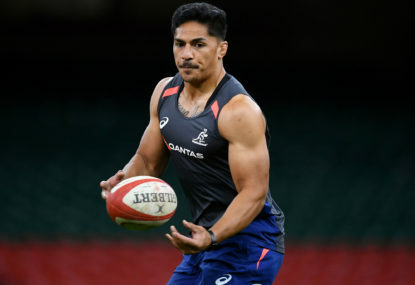 Don’t think they’ve been named yet, Rebel..
Not sure any Wallabies aspirations will be destroyed this weekend, Peter, it’s still several months until the first Test of the year..
I’d be stunned if the Rebels didn’t look to try and take advantage via their longer kicking game, Cole.. I get the sentiment RedBlock, but I don’t necessarily subscribe to the theory. Head to head performances are a great guide, but they’re a snapshot on one night only. 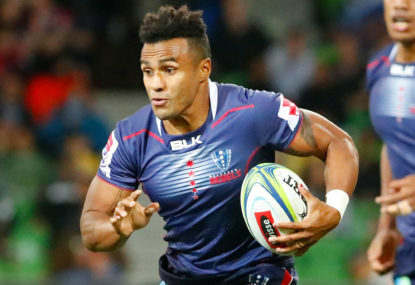 If Gordon or Phipps turn in a blinder and Genia has a quiet night, no-one for a second is going to suggest Genia still won’t be the first picked. Think this is the last SCG game for the season, Daveski. And who knows, maybe for the last for some time, if the Western Sydney Stadium experience is as good as every suggests it will be, or if the Tahs take up the Central Coast offer.. Presumably he’d be stood down until the CoC hearing? 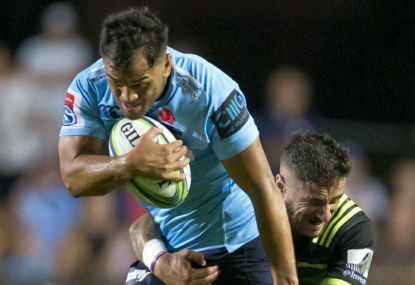 I can’t imagine he’d be able to play for the Tahs again next weekend, would he? 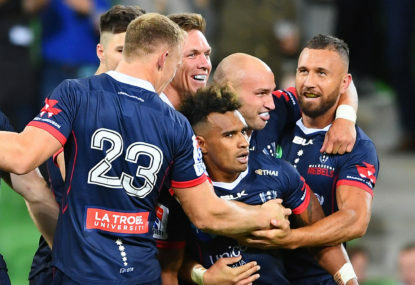 List your tips for Round 9 here in the comments, and anyone who bags a perfect round (by tipping the same as me, obviously) gets a mention and bragging rights next week. One really close pick this week: Blues-Chiefs. This time yesterday, it looked comfortable for one side, and that side still hold the edge now. But whereas yesterday it was pushing 20% difference, right now, with more than 300 votes lodged, the difference is single figures. So 6 x home teams, TimO? What do you make of Kwagga at 8, Baylion? A sad truth you speak, MJ..